Quote Reply Topic: Common Toad? Hi all. My name is Lee, this is my first post on the forum. I recently visited the area of dune land at Ainsdale where natterjacks are known to breed and I found a number of toads. All were juveniles and had unusual (to me) reddish colouration, but none had the characteristic yellow dorsal stripe of the natterjack. I guess they are just young Bufo bufo? I didn't expect to see these as the dominant Bufo species on this site though. Best regards, Lee. Hi Lee and welcome. 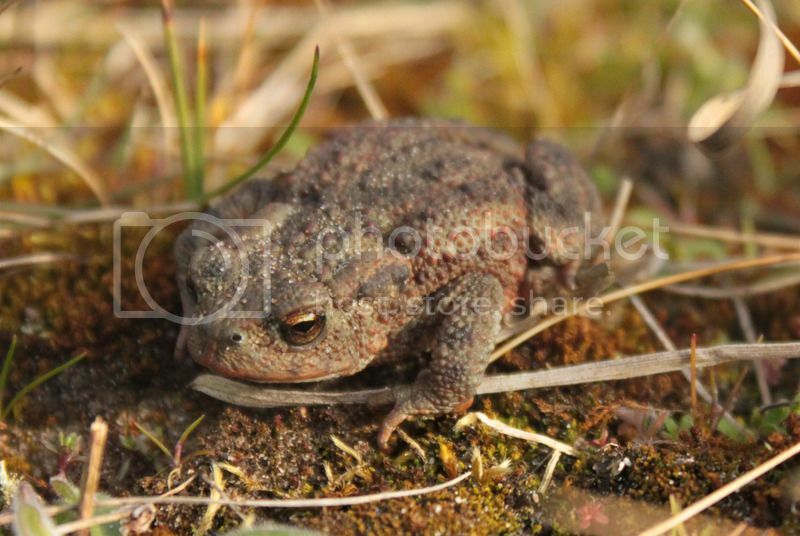 You're right, this is a common toad Bufo bufo and not a natterjack. Common toads will colonise dune habitat once the sward gets longer and the scrub gets denser, and because they spawn earlier in the year (typically) their tadpoles will compete and predate natterjacks, so common toads in natterjack areas are not generally welcomed by those who conserve their rarer cousins! Might be worth going on an organised walk if you want guaranteed NJ action?